The month of January saw a flurry of postings on social media about the portrait photography of Alex Fernandes entitled Festakars. The delicacy and other worldly beauty of these photographs, which captured the essence, the inner soul, of every one of the models who sat for him, is so very evident. 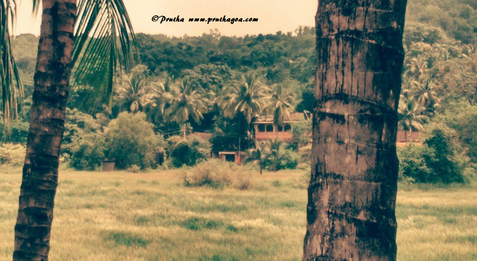 This self-taught photographer of Goan origin wields the camera with great artistic expertise. ‘I am actually a product of the advertising and fashion industry,’ says Alex, who began his foray into the world of fashion and advertising as an assistant photographer in 1984 in Mumbai. From 1987 to 1990 Alex worked at his first job as a commercial photographer in the Middle East. The aftermath of the first Gulf War saw him join the Kodak distributor in Kuwait. He says, ‘During my tenure (1992-2001) I also conducted lighting workshops for the company. The workshops for ‘Profoto’ film and ‘Potra’ paper which were Kodak products used exclusively for portraiture were on behalf of Kodak (Near East) based in Dubai.’ Part of the sales and services included offering equipment and solutions to other photographers. This permitted Alex, as a consultant photographer, to familiarise himself with different types of photographers, appreciating their styles and studio conditions. Alex has been able to train in Basel, Switzerland and the Middle Eastern countries as part of his job. He has participated in lighting/technical workshops with the Broncolor lighting systems manufacturer Sinar Bron AG, and with Hasselblad and Nikon too. Past exhibitions that Alex has had include Tiatristes in 2008 and a group show curated by Ranjit Hoskote called Retrieval Systems besides others. His photographs have been part of Goa Photo 2015 which was the first international photography festival to be held at outdoor locations throughout Panaji. Tiatristes in particular won the praise of photographer Dayanita Singh who encouraged him to continue with his unique style of photography. The tribute collection comprised of photographs of 34 tiatristes from Goa as well as Mumbai. Clarice has a high regard for Alex’ photography and the rapport he had with his models. He met these people for the first time and they had never been photographed in a professional setting, yet he put them at ease. This comfort level is obvious in the photographs. ‘Saligao villagers are quite unique. They are very proud of their heritage. Clarice had carefully picked people for the shoot on the 17th of January, the feast at St Cajetan’s Chapel, Saligao. Everyone showed up at their allotted time slots, and though we had planned on doing 30 portraits, we ended up with 60. Even the brass band from Calangute was part of the series,’ says Alex. Alex may carry on his Festakar series by shifting his attention to the south of Goa, which he feels will have a different character. Though no certain date has been fixed to exhibit the photographs, he believes it will be soon enough. He is continuing with another series simultaneously which features 30 performers from the Western influenced music genre in Goa. ‘The series features rockstars like Remo Fernandes; percussionist Bondo (Jose Fernandes); Mr Anthony Prabhu Gonsalves, the musical genius from the village of Majorda who made huge contributions to the Bollywood music industry; musicians who are clergy from the Pillar music school; music maestros from tiatr, and also foreign musicians like Goa Gil who pioneered the early Goa beach party and the Goa trance scene since the 70s,’ says Alex. Alex makes Goa proud with his talent for portraits. We hope to see him win continued renown in keeping with his creativity. Alex' photography can be viewed at www.alexfernandesportraits.com.